November 2018 - As many as 34 African countries refer to carbon mechanisms in their Nationally Determined Contributions (NDCs). Therefore, many countries in Africa, including Eastern African countries, are interested in exploring the potential of carbon market mechanisms to reduce emissions and to implement their countries’ NDCs. Article 6 of the Paris Agreement covers several approaches for the rules, procedures, and guidelines which are in the final phase of being negotiated. In this regard, the GIZ Carbon Markets Project in Uganda, implemented on behalf of the German Federal Ministry for Environment, Nature Conservation, and Nuclear Safety (BMU), together with the UNFCCC Regional Collaboration Centre (RCC) Kampala and the Secretariat of the East African Community (EAC), organized a Pre-COP24 Negotiators Forum for Eastern African countries in Nairobi from 30 October to 1 November.The discussions focused on carbon pricing and Article 6 of the Paris Agreement. The workshop brought together more than 40 public and private sector participants from Uganda, Kenya, Tanzania, Rwanda, Ethiopia, and Burundi, many of whom are experienced negotiators. Presenters at the workshop included Margaret Barihaihi from the NDC Partnership Support Unit and institutional members, who gave insights on the support opportunities for NDC implementation. Olufunso Somorin from the African Development Bank (AfDB) presented on the NDC Hub, an initiative by the bank to support African countries in the achievement of their NDC targets. Amy Steen from UNFCCC, delivered an in-depth analysis of Article 6.2, the progress of Paris rulebook ahead of COP24 and the interlinkages of negotiation streams. 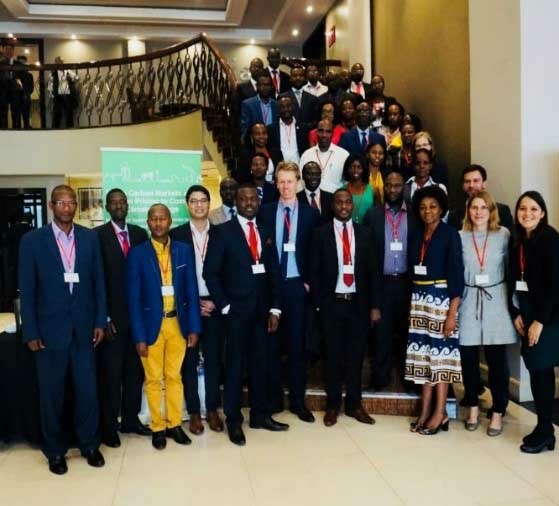 Finally, Rachel Boti-Douayoua, representing the Carbon Pricing Leadership Coalition (CPLC) as a Co-Chair of the African Workgroup of Carbon Pricing, presented examples of carbon pricing approaches in African countries. During the forum, participants had the opportunity to enhance their technical capacities on general rules, procedures, and processes within the UNFCCC negotiations framework as well as analyze and discuss the various textual options that are being negotiated under Article 6.2, 6.4, and 6.8. To complement the exercise, the interlinkages of Art. 6 and Article 4 on accounting, Article 9 on climate finance , as well as Article 13 transparency were discussed. In addition, the workshop introduced the position and key concerns of the African Group of Negotiators (AGN) on matters relating to Article 6. Furthermore, participants had the chance to get a global and regional overview on carbon pricing developments. As a result of the forum, discussions between the countries around Article 6 will be used to inform the East African regional consultations on climate change, which are currently taking place under the auspices of the East African Community Secretariat, supported by the GIZ Carbon Markets Project. The outcome of EAC’s regional consultations will then feed into the AGN’s position paper on Article 6 and other climate change related matters during COP24 in Katowice. In relation to carbon pricing, participants showed strong interest but highlighted there is a need to strengthen their understanding on the topic and how it can be utilized in the context of their countries.